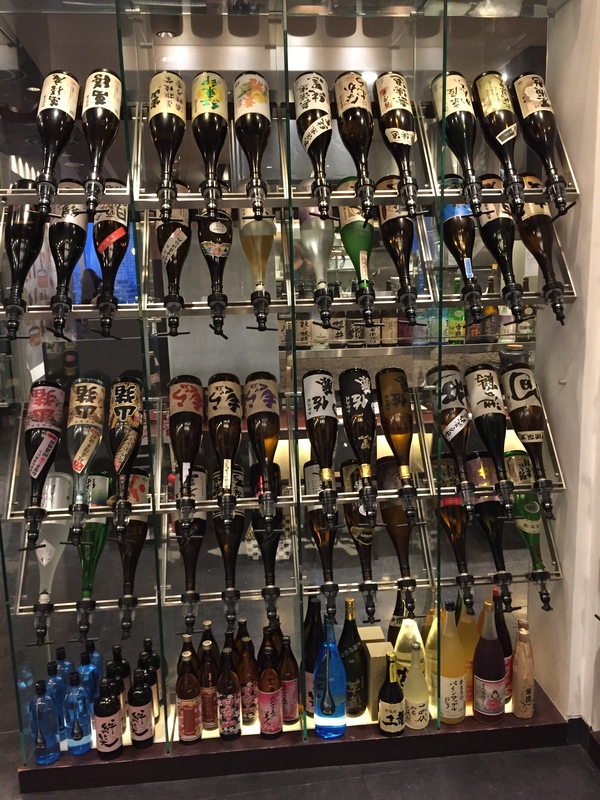 One of the best parts of traveling (well, really, of life?) is eating. 🙂 When you travel around the world, you are suddenly exposed to so many new types of food – often some that surprise you, for better or for worse. When I began to venture out of the US, this proposition was kind of scary… The first time I remember leaving the country was when I was 13 and we crossed the border to Tijuana. At the closest border town, my sister and I were commanded by our mom to “eat, drink and go to the bathroom now because you’re not doing it again until we return!”. Needless to say, I did not sample any Mexican cuisine on that outing. In my early travel years, I admit to being “one of those people” that sought out the most “American” looking food I could find because it seemed “safe”. I drew the line at McDonalds, but if there was an American chain restaurant in sight or a recognizable packaged snack at the store, there’s a good chance I headed toward it. Thankfully that phase didn’t last long – now I am excited to explore everything (everything?) that local cuisines have to offer. And boy have I sampled it. It’s hard to describe some of the surprises that have been placed before me. Rabbit ears, duck tongues, and scorpions (China), mice on a stick (Malawi), termites (Kenya), and a lot of unidentifiable creatures from the sea (Japan) are just a few that are on the list. Sometimes I can handle it – the rabbit ears were actually cold, pickled, and surprisingly tasty. 🙂 But sometimes there is absolutely zero chance. Those mice still had FUR!! Him: “we’re going to order this because we love it and you won’t eat it, so we will have it all!”. 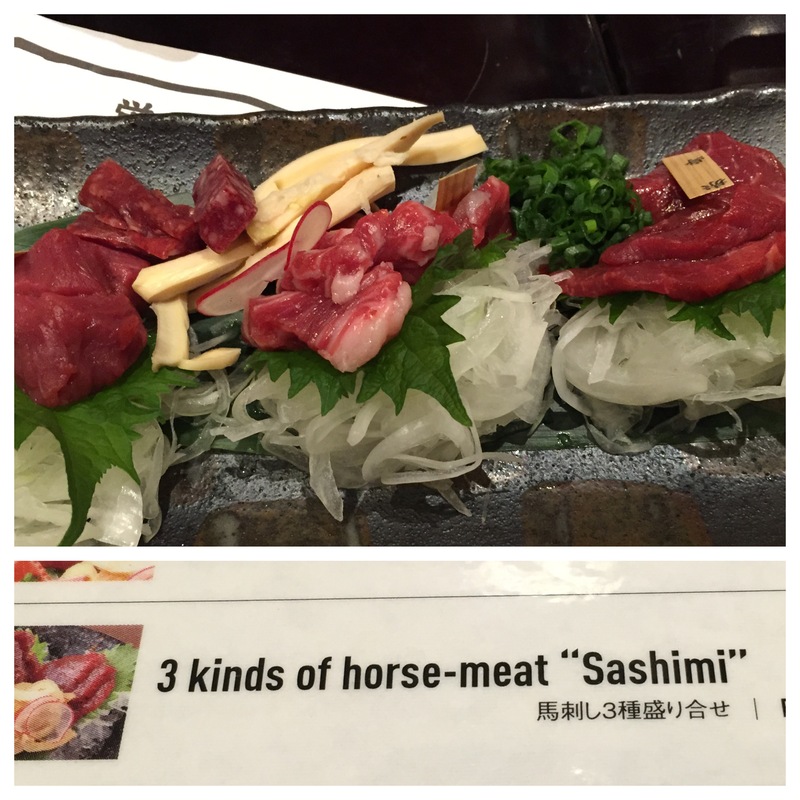 ONLY with the help of a generous sake selection did the Horse Sashimi have a chance.